The world is full of surprises and nature lovers tend to explore it every now and then whilst traveling to the places that are rich in nature and have plenty of things to offer. Since the world is immense and the beauty of nature lies at various levels, we are bringing you down to the bottom of the ocean surface and offering the most scenic marine experiences of all time. The marine life is much more enthralling and thriving to enjoy and those who love to dive into the natural bliss will find the literal version of discovering the best ocean sites and swimming across the picturesque marines spread across the world. So, without any further ado, we are bringing to you the best snorkeling spots around the world that are proven to be the finest with loads of captivating experiences. 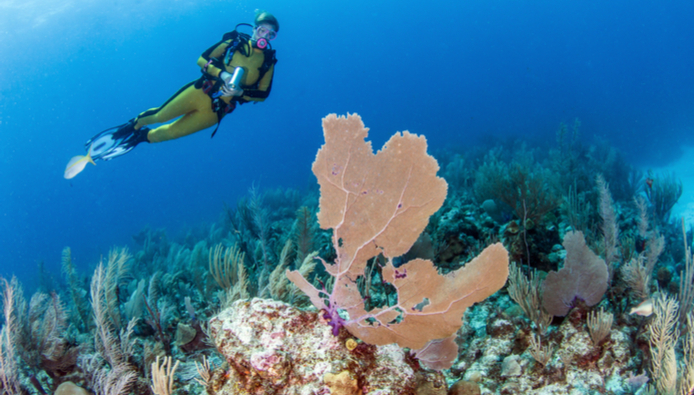 Belize is a world-class destination and is widely popular for its exotic beaches, but only true marine explorers know the fact about Belize that this part of the world is the home of the second largest barrier reefs in the world following Australia. The spellbinding colorful reefs that are giving perfect shelter to an array of marine creatures like manta rays, eels, colorful fishes and more, Belize is a perfect place to understand the entire concept of marine world. The ample range of snorkeling places spread across the coastal area of the Belize are just perfect for voyagers and if you love snorkeling in the clear waters with scenic settings, this place can be a great start for you. It is globally famous that the gastronomy of Philippines is really fantastic as it is majorly based on the sea food. And it’s kind of obvious that the variety of seafood in Philippines comes from the diverse marine life which is spread across the South China Sea, Philippines Sea and Celebes Sea. 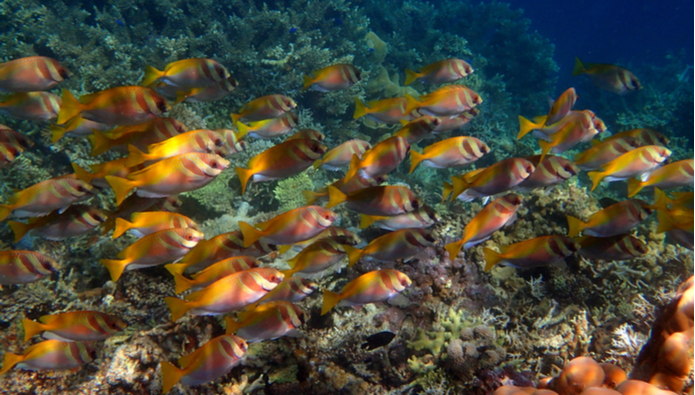 Hence if you love to witness the home that is giving it a such a superlative diversity, you must explore the marine world which is easily accessible from various snorkeling points. Among them all, Palawan is known to be the biggest hub for divers and snorkelers. The thin line on the maps around the scattered archipelago of Philippines, Palawan is a nice spot for beginners and intermediate snorkelers and will offer the most gorgeous experience of exploring the marine life. Who doesn’t know about the rich natural beauty and laid-back culture of Maldives? The stunning island country on the Indian Ocean, Maldives is a world-class beach resort destination that is majorly famous among newlyweds for being an opulent honeymoon destination. However, adventure travelers look at this place otherwise and find it really astounding for some world-class snorkeling experiences. Home to hundreds of species from marine flora and fauna, Maldives is really a superlative getaway destination. Dive from variety of snorkeling points spread across the island and you can gain an easy access to over 700 species of fishes, variety of corals, ample of turtles, sharks and many more wild creatures that are rare to be found elsewhere. The picturesque archipelago country of Palau in the Oceania region is not so famous among global tourists for being such a small in size and never being into any controversy. Hence, the beauty of this combination of over 500 islands is nearly intact. The picturesque islands here are widely popular among selective grade of adventure seekers and snorkelers especially the one who are expert in seeking out the best of the marine lives are aware of the rich diversity this place has treasured all these decades. 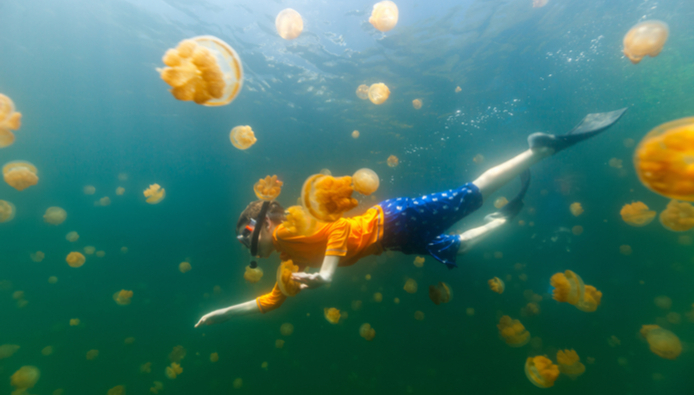 With places like jellyfish lake, this place is answering all the questions about the marine world with living examples. Dive into the depth around here and the perception of the world will change completely for you. Last but certainly not the least, Great Barrier Reef is among the best and heavenly experiences of all time for diving lovers. Home to the biggest coral reefs known to the planet, GBR is truly a piece of paradise under the sea for the snorkeling lovers. Beginners, advanced and expert divers enjoy visiting here every now and then and explore the marine world that spans hundreds of miles off-the-coast from the mainland of the Australia. 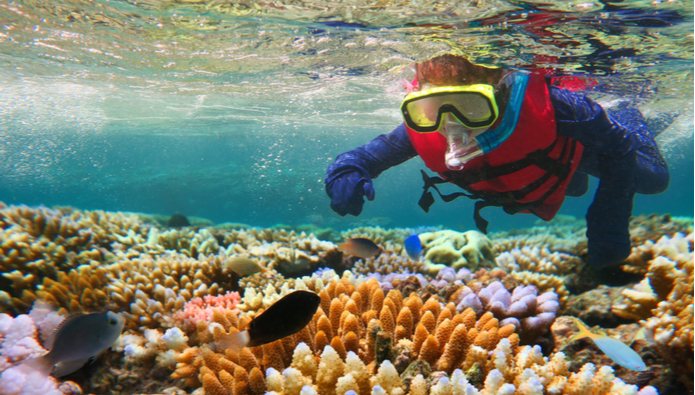 Needless to say, the exquisite and unique range of flora and fauna living here in Great Barrier Reef will be a perfect experience for you if you enjoy the diving experiences. This combination of nearly 3000 reefs that span across the 1400 miles in total is the home of many rare species that most of the human civilization is unaware of. 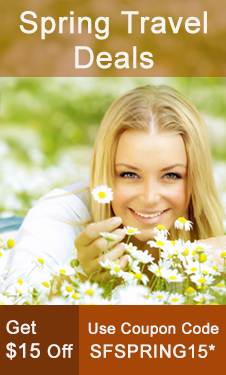 So, make the best of it and plan your trip to Australia for such a picturesque experience. 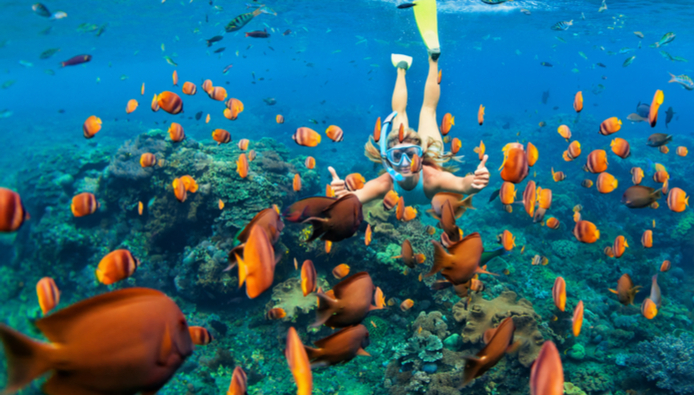 Finding a perfect snorkeling place requires a place that can suit your interest, can give you what you are looking for and available in the time when you can experience the best of it. Since, the marine world is massive and it is hard to explore the best of it, we have listed a few of the best that are wonderful to discover and easy to access from any part of the world. So, plan your next vacations wisely and make it a combination of adventure and scenic experiences by simply opting for the worldwide flight deals available at SmartFares and save big on airfares whilst exploring the world with a new perspective. This entry was posted on Friday, March 23rd, 2018 at 9:31 am	and is filed under Uncategorized. You can follow any responses to this entry through the RSS 2.0 feed. You can leave a response, or trackback from your own site.